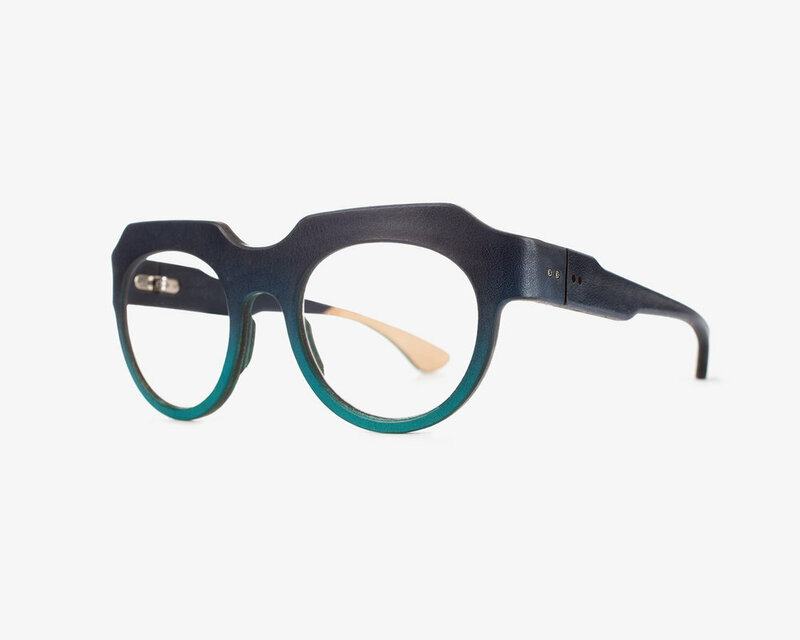 The Centaure spectacles stand out thanks to their bold lines, massive curves and graphic styling. A stainless steel skeleton is embedded to the leather, granting elasticity and keeping the frame in shape. The spectacles are crafted with crop leather (stiff cow leather mainly used for shoe soles), giving robustness and character to the glasses. The collection offers somptuous colors which are handbrushed in gradients or through a patina process. The handmade patina gives a vintage aspect to the frame, which will emphasize with time and wear. The right angled lugs as well as the temple tips are cold adjustable by hand. The beveled glass is glazed by hand, with the same system as any acetate spectacle.